The 1970s television series ‘On The Buses’ spawned a total of three films, showing how hugely popular this programme must have been. For television to be popular it must have some kind of relevance to viewers, and I think that ‘On The Buses’’ popularity stemmed from its ability to tap into the concerns of working people and their families. And as the daughter of a bus conductor/driver who began work in the 1970s, I have been assured that many of Stan and Jack’s situations are quite accurate for the time! I have already covered the original ‘On the Buses’ film and ‘Holiday on the Buses’ (see links below), where I was reminded of pieces of everyday life which have now been swallowed up by modern day commercialism. But when I watched the second film in the series – ‘Mutiny on the Buses’, I realised that there is one way in which our modern life has failed, and that we are now backtracking to the lifestyle depicted in the film. A thread running through this film is Stan’s engagement to Suzy the Clippie. She tells him that she wishes to marry him as soon as possible – and as she is holding back certain benefits until their wedding night – Stan too is keen to exchange vows. However the sticking point is their inability to find somewhere to live. Stan attempts to save the money for a deposit on a flat – with Suzy’s chosen flat secured, he is as good as married. However, when his brother-in-law (Arthur) loses his job, he finds himself being forced into contributing more into the family household pot. Because Stan’s current living arrangement is sharing the family home with his mother, sister, brother-in-law and nephew. Suzy is given the option of joining them all as a new member of the family. However, she is positive that this will never happen and as the flat becomes further out of reach of Stan’s pocket, the engagement is called off. To the modern viewer, this household set up is unusual. We now expect to have our own home and to live apart from our extended family. In the latter decades of the 20th Century this idea of universal home ownership was aggressively pushed to us all. But this is a relatively new phenomenon. Throughout history, housing has been at such a premium that two or three generations have routinely lived in the same house. Young couples couldn’t afford to pay out rent on their own place and neither could outside care of the elderly be afforded. 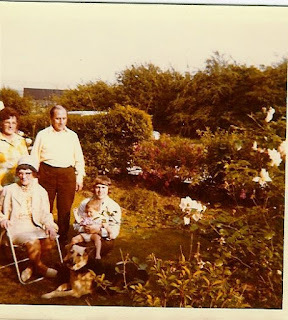 When my parents first married and until I was around two years old, the three of us lived with my Mum’s parents. As I was born in the same year that ‘Mutiny on the Buses’ was made, this shows that Stan’s home really wasn’t out of the ordinary –as I said at the beginning, this is what made the show popular – it was familiar to viewers. My parents moved out of my grandparents’ home when they got to the top of the waiting list for a council flat. Good council housing gave many families the chance to make their own way and have a home of their own. But then we were all pushed into buying houses, it was what we were all told to aspire to. Prices have now reached such a point through the high demand that I think we are facing a return to the multigenerational home. I think that many of the problems relating to housing today can be traced back to the selling of these council houses. The first step on the family home ladder has been rendered considerably more difficult to get a toehold on, leaving families chasing a deposit that they will struggle to manage while they line the pockets of greedy opportunist private landlords. Stan’s fiancée gives us a clue to when this change was beginning. Young, impressionable people were already reaching out for property that they really could not afford to take on. One feels that Suzy would never have been satisfied to make do on a busman’s wages and would always be wanting to go one better. He really was better off without all that.